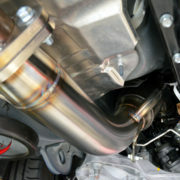 Fast Intentions is proud to present our Infiniti Q50 Sedan & Q60 Coupe VR30DDTT Full Downpipes with GESI HO (High Output) Catalytic Converters. 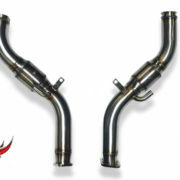 Our catted full downpipes unleash the performance of your VR30DDTT twin turbo V6 engine. Effectively increasing low end torque and maximizing power throughout the entire RPM band. 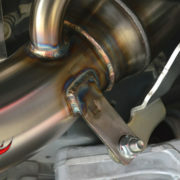 The overall exhaust sound volume will increase with the FI full downpipes, however with the addition of the GESI HO catalytic converters the interior noise resonance will be kept at a reasonable level interior level. 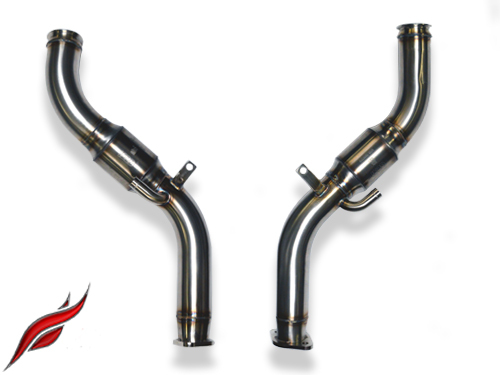 Built as a direct OEM replacement, catted full down pipes are designed to be an addition to your cat back exhaust system. 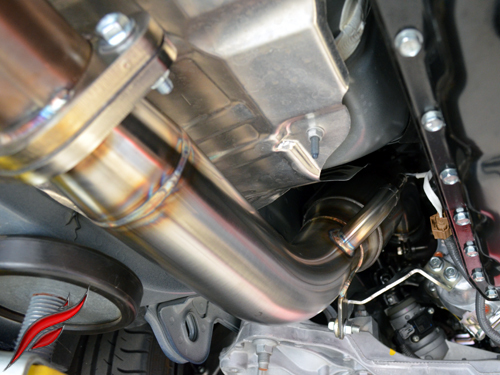 We maximize performance by replacing the OEM secondary and primary catalytic converters with a GESI HO (High Output) catalytic converter and increase the tubing diameter to 3.0″. Direct OEM replacement; no cutting or welding required. 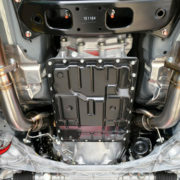 Lower factory mounting brackets are retained and in OEM location. 3.0″ mandrel bent T-304 stainless steel tubing. CNC lathe cut 304 stainless steel v-band flanges, for a seamless restriction free connection from the OEM turbocharger exhaust housings. All factory v-band clamps and hardware are reatained. 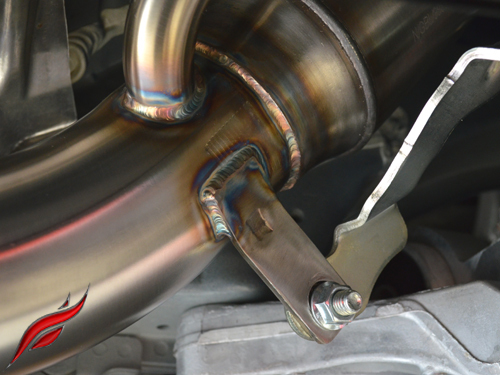 J-bend style O2 sensor bungs are welded in factory location for a plug-n-play install of your rear OEM O2 sensors. Note: During R&D our test car accumulated 2,000+ miles without an aftermarket tune. During that testing period, no CEL (Check Engine Light) was detected. 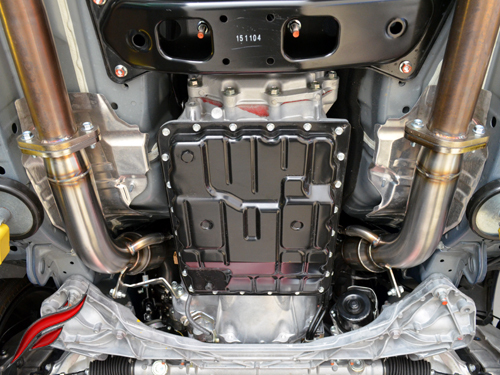 GESI HO catalytic converters: 49 state OBD II compliant. Full stainless steel construction, including the substrate which is furnace braised to the mantle for outstanding durability. Unique end-cap design locks substrate in so it can’t rattle around. GESI HO catalytic converters: Proprietary precious metal loading technology ensures greatly reduced emissions. Capable of withstanding up to 1500 deg F.
Limited 3 year warranty on all welds and craftsmanship. Compatible with the 2WD (Rear Wheel Drive) and AWD (All Wheel Drive) models. Not compatible with the 2014-2015 Infiniti Q60 Coupe/2014-15 Q50 Sedan. An increase in performance throughout the entire RPM band. Installed in conjunction with our FI cat back exhaust system and ECUTek tune, largest gains recorded: 61 horsepower at 5,200 rpm / 149 FT LB of torque at 2,800 rpm / 17 psi / 91 octane. 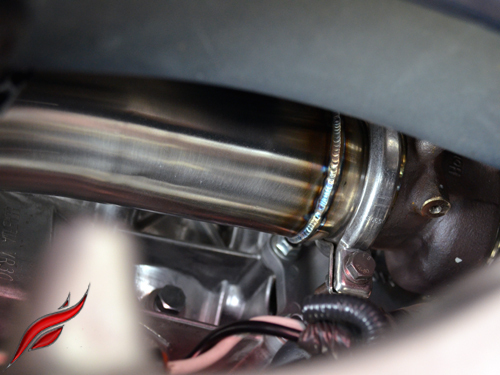 Installed in conjunction with our FI cat back exhaust system and the OEM tune, largest gains recorded: 39 horsepower at 5,000 rpm / 68 FT LB of torque at 3,000 rpm / 15 psi / 91 octane. 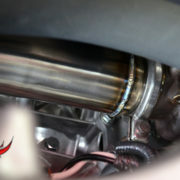 Refining the factory VR30DDTT exhaust note by increasing depth and volume. This product is hand built (in house) to order with a standard lead time of 4-6 weeks. Once your order is placed, you will receive an invoice with your estimated shipping date. Note: The lead time may fluctuate less than 4 or greater than 6 weeks based on order volume.